DUSHANBE, Tajikistan — President Vladimir Putin oversaw the signing of an agreement extending Russia's military presence in Tajikistan for 30 years, ensuring that Moscow will be able to secure the southern fringes of its former Soviet empire after NATO troops leave Afghanistan. The countries' defense ministers agreed Friday to prolong Russia's lease on a base until 2042. The lease had previously been due to expire on Jan. 1, 2014, the same year most foreign combat troops will leave Afghanistan, which shares a long, mountainous and porous border with Tajikistan. 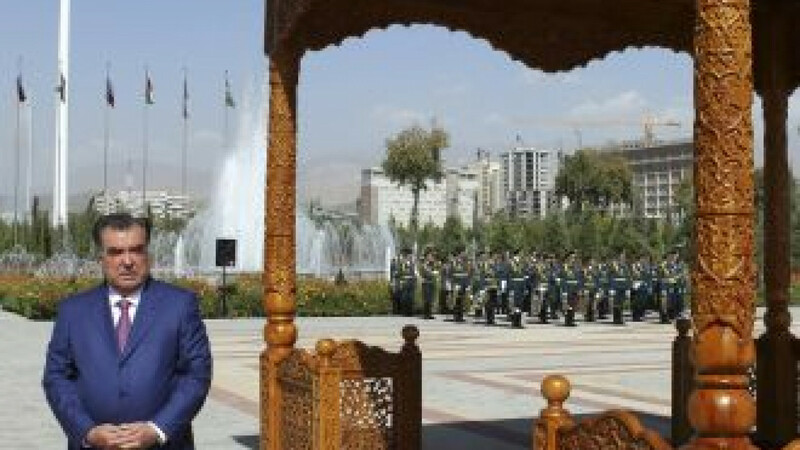 More than 6,000 soldiers stationed across three towns in Tajikistan make up Russia's Base 201, the Kremlin's biggest troop deployment abroad. Addressing soldiers and officers at the base, Putin aired familiar complaints about NATO, saying Russia was concerned about expansion of the alliance's infrastructure. "I believe [NATO] is to a large degree a throwback to the Cold War," Putin said. But he suggested that the alliance could be a positive force as long as it does not try to usurp the power of the UN Security Council, where Russia has veto power. "To some degree, under certain circumstances, if it acts on a mandate of the UN Security Council, NATO can play a positive role," Putin said. "We will develop our relationship with this organization." Putin has backed cooperation with NATO on Afghanistan, allowing the use of Russian territory for transit and supplies. Putin also signed a deal last month to extend Russia's lease on an air base in Kyrgyzstan through 2032. "Together with the base at Kant in Kyrgyzstan, the base in Tajikistan will serve the interests of Russia," Putin told the troops at Base 201. Hundreds of spectators watched his motorcade sweep through the streets of Dushanbe to the base, on the outskirts of the capital. Buildings were decorated with Tajik and Russian flags. Putin's foreign policy aide, Yury Ushakov, said Russia would pay a symbolic sum to extend the lease on the base. Tajikistan initially wanted Russia to pay full price, but Russia declined, saying Tajikistan needed its protection after the NATO pullout. "We need this base, and Tajikistan needs it," Ushakov said. In a joint statement, Putin and Tajik President Emomali Rakhmon said they considered "stopping the threat of terrorism and drug trafficking from the territory of Afghanistan as one of their priorities in efforts to maintain regional stability." Putin's visit also produced a package of agreements that could bolster Tajikistan's economy, including one providing better terms for Tajik migrant workers in Russia. About 1.1 million Tajiks, one-seventh of the country's population, live in Russia, and the wages they send home account for half the country's GDP. Other deals pledged cooperation in building hydropower facilities and removed import duties on Russian light-oil products used in Tajikistan. Rakhmon turned 60 on Friday, two days before Putin reached the same milestone. Putin presented Rakhmon with a Russian-made sniper rifle as a gift. In power for 20 years, the Tajik president will seek another seven-year term in a November 2013 election. "It's important to Rakhmon to remain in power in 2013, and the Kremlin's support will be decisive," said Zafar Abdullayev, a Dushanbe-based political analyst.